Researchers have discovered an amber fossil containing the ergot fungus—from which LSD is derived. There are two ways to introduce this new joint study from Oregon State University and the USDA Agricultural Research Service. The more accurate, and certainly more responsible, course would be to say that researchers have found a perfectly preserved amber fossil that contains the oldest grass specimen ever discovered, on top of which lies a 100 million-year-old form of the ergot fungus. 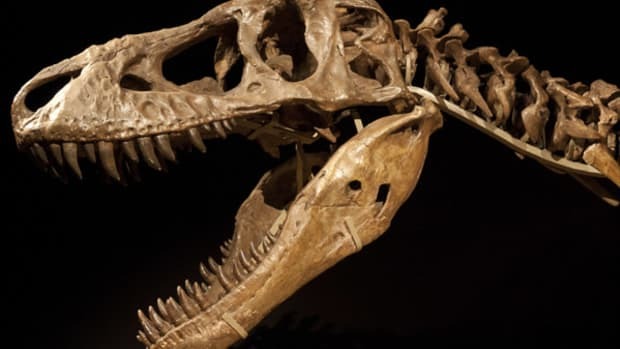 The second—decidedly less responsible, but nearly irresistible—is that researchers discovered that dinosaurs may have been tripping on hallucinogens. In 2001, German paleontologist Joerg Wunderlich discovered what he thought was a fossilized flower in the amber mines of Myanmar—an area where sauropods are known to have lived. He sent the sample to Oregon State paleo-entomologist Dr. George Poinar, who quickly realized that it was not, in fact, a flower, but instead a piece of grass—the oldest known grass in the world, at that. Even more remarkable, Poinar found that the grass was topped with this ergot-like fungus. A version of the fungus responsible for LSD was present on the grass that the largest land animals in history were subsisting on. And, to think, dinosaurs were already terrifying. For the uninitiated, ergot is a fungus found on grasses like rye and wheat, known mostly for the side effects it has on humans upon consumption. 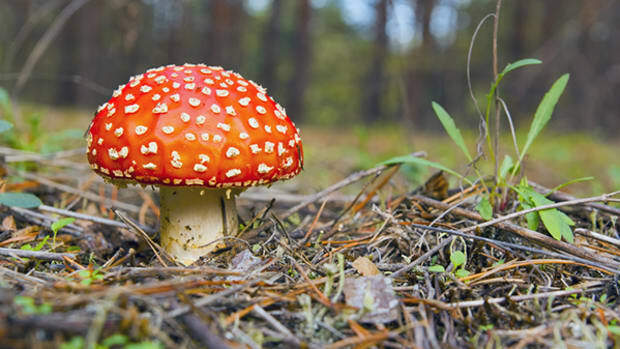 For centuries, this fungus has been responsible for hallucinations, delirium, gangrene, and convulsions. (In fact, many historians believe that the Salem witch trails of 1692 were the result of women who had ingested ergot-contaminated bread.) In modern culture, ergot is best known for being the source from which LSD is derived. 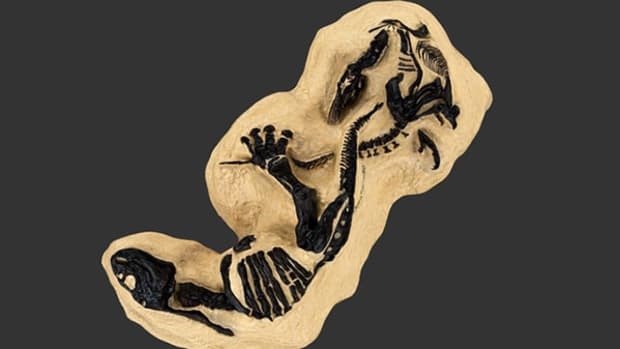 A few years back, scientists discovered grass remains in the coprolites—or fossilized feces—of sauropods who lived in the area where the fossil was found. 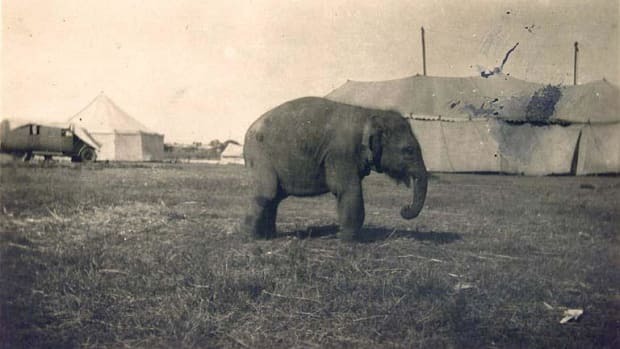 If we connect the dots, then, a version of the fungus responsible for LSD was present on the grass that the largest land animals in history were subsisting on. And, to think, dinosaurs were already terrifying. The most important takeaway from this study, which will be published in Palaeodiversity in the coming months, is the discovery of this ancient fungus, which the scientists described as Palaeoclaviceps parasiticus. More than 1,000 compounds, some of them important pharmaceuticals, have been extracted and derived from its modern equivalent, the genus Claviceps. To realize that this fungus has existed for at least 100 million years is astonishing. “It just goes to show how little we know about what happened in the past," Poinar says. Meet the amateur paleontologist who discovered "Montana's dueling dinosaurs," a fossil expected to fetch between $7 and $9 million at auction. A small study from the Netherlands finds that a few grams of hallucinogenic truffles can stimulate the imagination. Researchers have found that return migrants to the state of Guanajuato, Mexico, have a positive effect on nearly every aspect of life.